The white flowers appear in spring and are much loved by the honey bees. 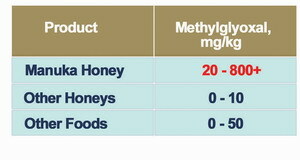 Manuka flowers have a strong, aromatic fragrance and are full of the nectar which provides this dark, creamy honey. 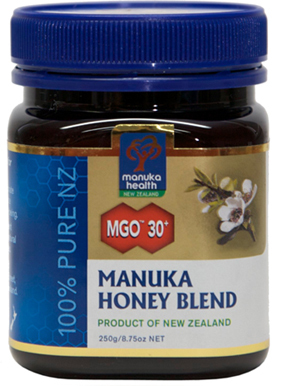 MGO™ 30+ (Active 5+) Manuka Honey has naturally minimum 30mg/kg methylgyoxal content which is responsible for the anti-bacterial properties in the honey.